erk erk ... can't resist a silly pun. 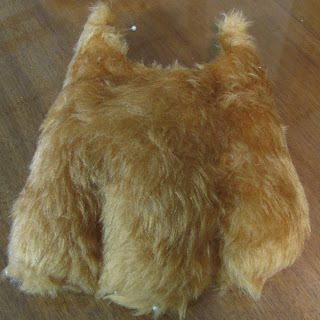 Well, work on the dog costume continues sporadically - some time ago I showed you the front paws and now for the hind feet. Once again cartoon-like but not too large. 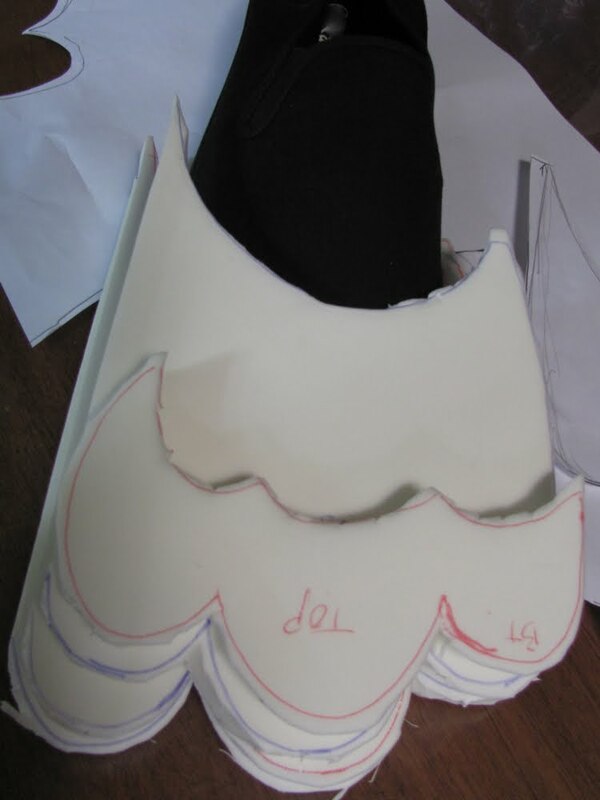 Using methods learnt at TAFE when making the shoes for a 'Munchkin' Costume - it can be seen here. PE foam is wonderful stuff and this was just thin enough to cut with scissors :-) A basic layering for the rough shape. 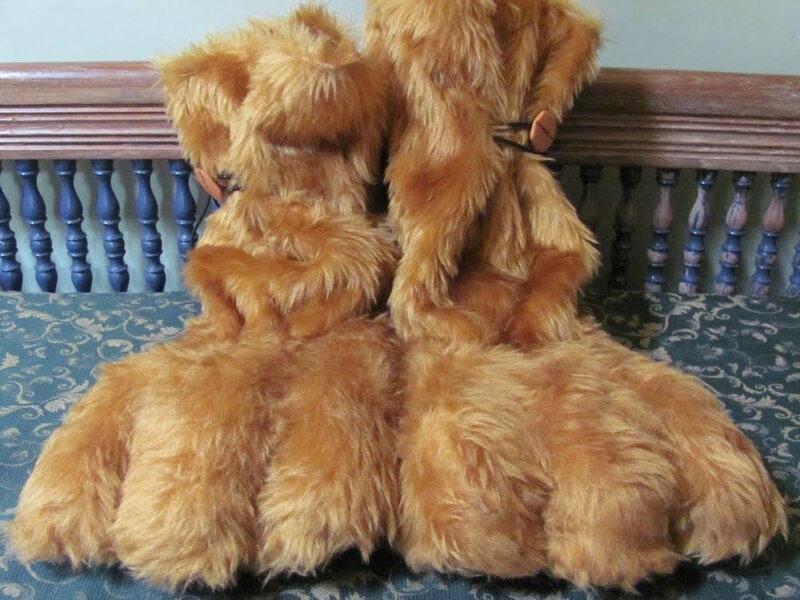 That black object is one of the canvas shoes that these paws are going to be built unto. 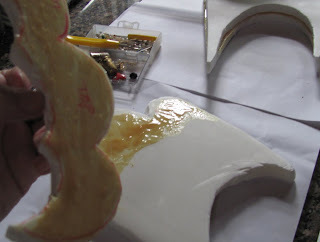 Glued those layers together ... erg - contact adhesive is so ... snot-like! 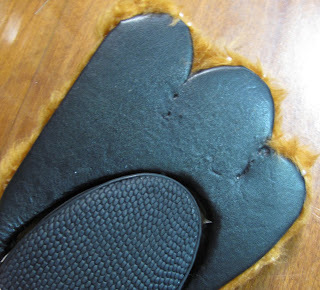 Then lots of sanding back & a bit of wadding to refine the shape, put vinyl on the sole & fur on the top and suddenly it looks a bit like a paw. This is pre- glue & stitch as you can see by the pins sticking out! 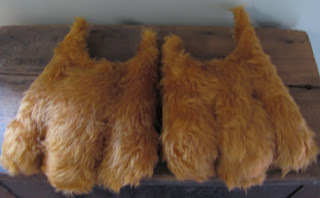 The fur is mostly glued with some stitches in strategic spots. Had trouble achieving "toe cleavage" the valleys between the toes which are important to achieve a cute paw. Had to stitch right through the thickest parts of the paws and nearly lost my needle a few times! Here is the 'sole' and you can see those stitches - and how the toe will fit round the shoe (once sewn together, they fitted more snugly). Here is the pair of toes ... Stitched the toes to the canvas shoes and made furry tops to cover the remaining parts of the shoes and the wearer's ankles - he will have fur legs which are rather like track-pants. 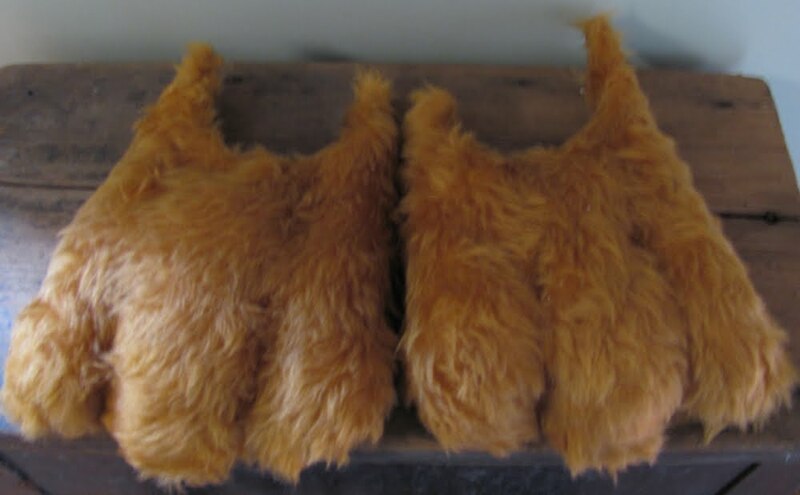 I'm not sure if the tops of these paws (now looking rather like ugg boots!) will be tucked inside the fur trackie-daks or go outside. Opted for an elastic loop and button system round the ankles for flexibility of wearing while minimising trip hazards. 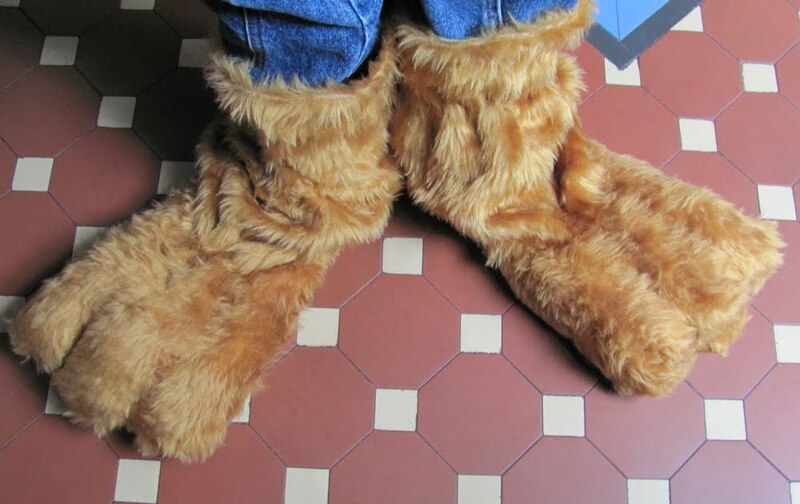 Had to try the paws on - there is something about big furry feet that makes you want to giggle! Is there a Dr Zhivago in the house?